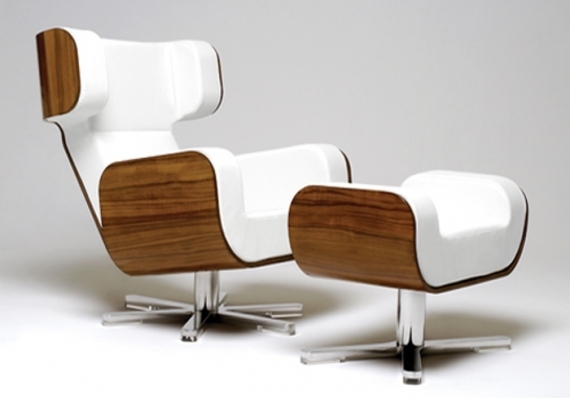 We’ve been fans of the Eames Lounge and Ottoman for years, dating back to childhood. That classic piece is just as modern today as it was when it was first built 52 years ago. When we saw this Zero Gravity Wing Chair, we naturally felt right at home. This Scandanavian-made, bent wood and memory foam piece takes the Eames concept in a new, updated direction. That memory foam is the same that was designed by NASA to form and adapt to your body shape to provide unparalleled ergonomics. Granted, we still favor the classic Eames, but the Zero Gravity Wing Chair is cool in its own right.